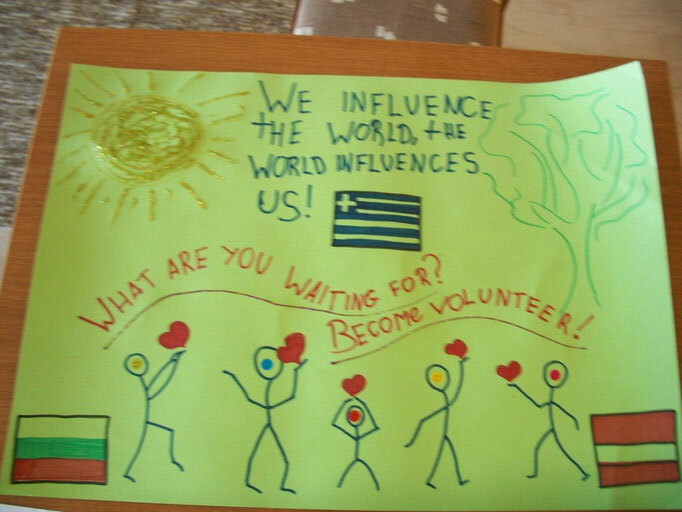 Youth Exchange "A Volunteer. To be or not to be?" 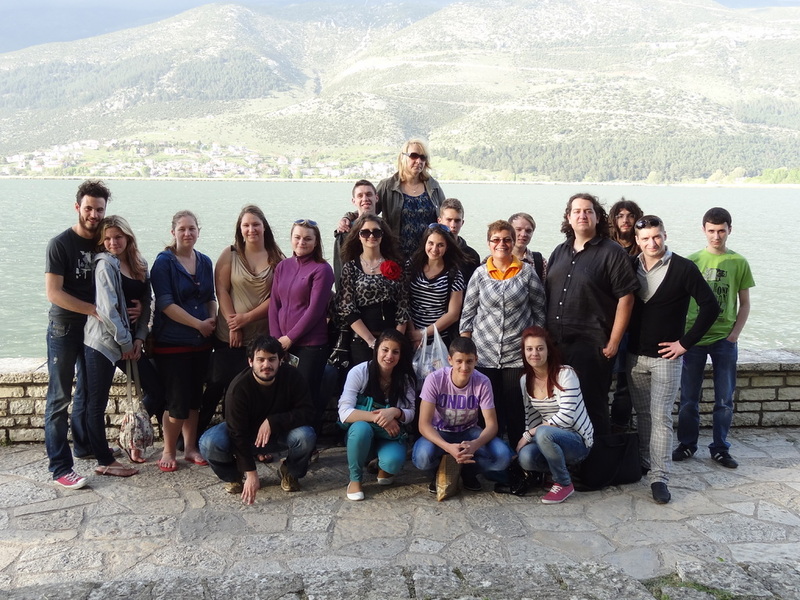 in Greece - Koukli, Ioannina. A youth exchange called “A Volunteer. To be or not to be? 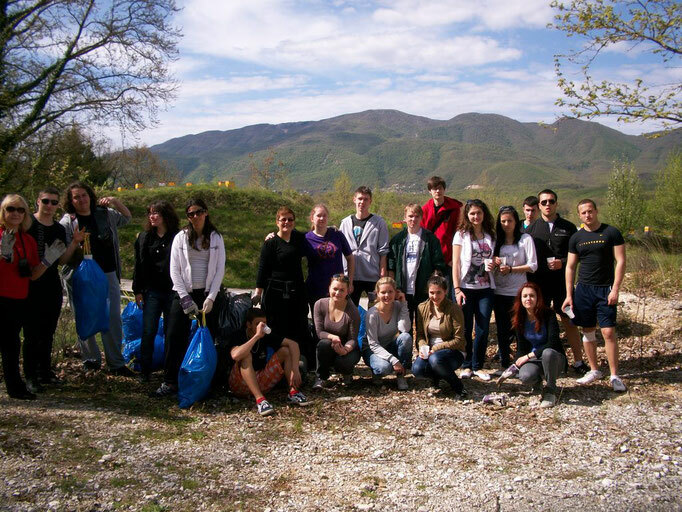 ” was held from 21st of April until 28th of April of 2012 in the area of Pogoni. 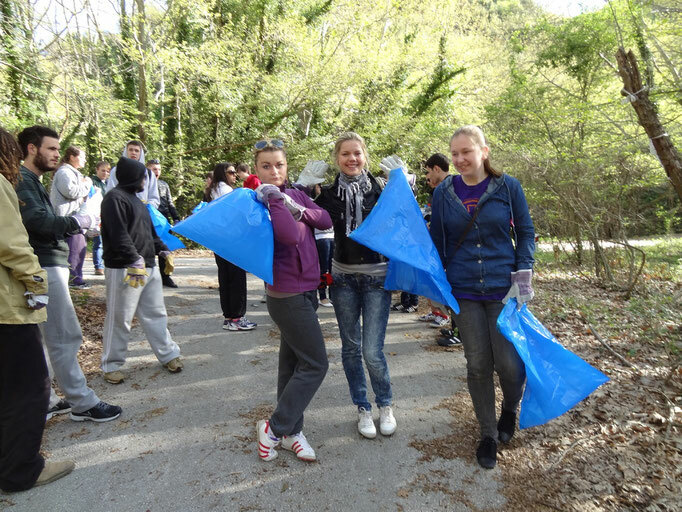 This youth exchange was created under Youth in Action programme. 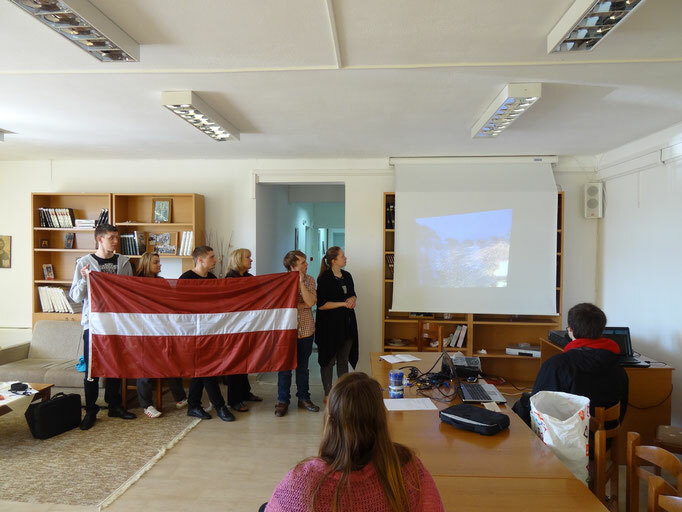 24 young participants from Latvia, Bulgaria and Greece took part in the youth exchange. 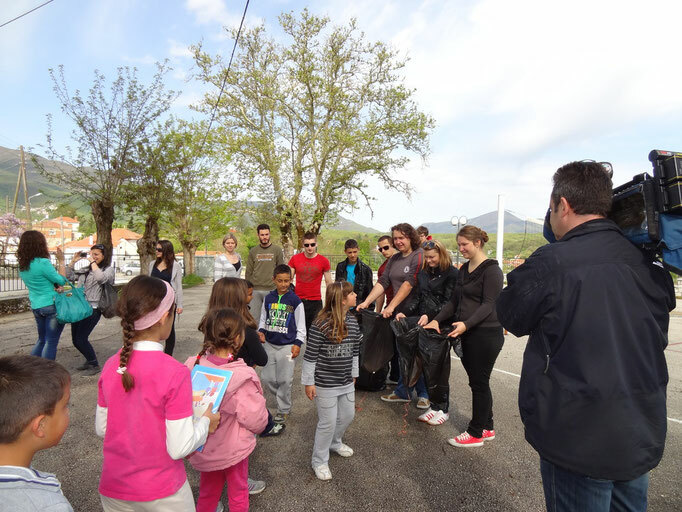 With non-formal educational methods youngsters learned about volunteerism, volunteerism as a tool to develop rural areas and about EU awareness. 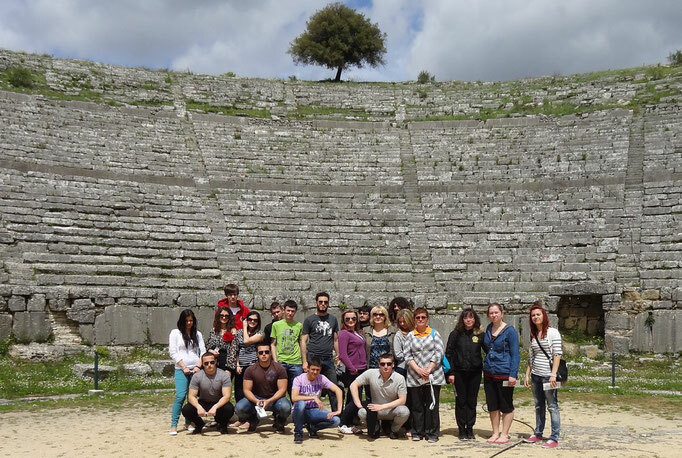 During the exchange young participants also exchanges with their personal experiences, overpassed their cultural differences and found similarities of their cultures, overpassed language barriers and learned a lot about the culture, nature, food and traditions of Greece. During some activities of the exchange, all participants cleaned a territory around the river of Kalama in Pogoni region, they made full of trash more than 70 big size trash bags; participants promoted paper recycling with collection of papers for recycling in villages of Koukli, Areti, Parakalamos, Vissani, Doliana and Kalpaki. Here you can see the video of ET3 channel which visited us during the paper collecting activity in the village of Parakalamos. All participants also participated in a seminar “Voluntarism as a tool to develop rural areas” in the high school of Doliana, which helped young students from the nearest villages to get inspired to become volunteers and to develop the area they live in; students learned also about Youth in Action programme, the benefits of participation in Youth in Action programme and the way how to get involved in it. During the exchange participants designed a flyer about volunteerism which will be distributed in the region of Epirus of Greece, also in Latvia and Bulgaria. 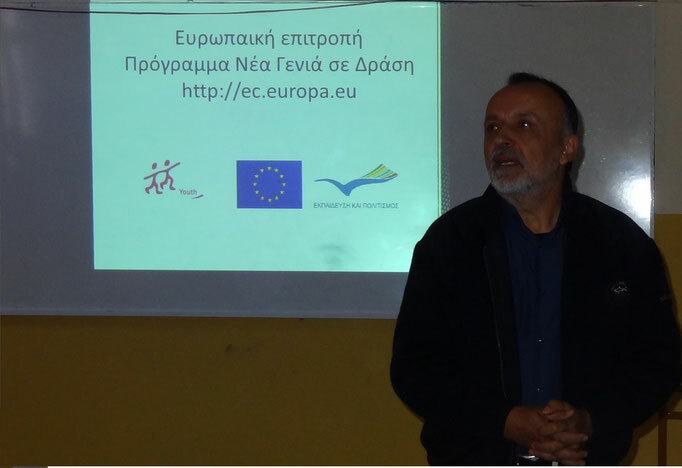 Here you can see some pictures of the exchange and hear an interview of a member of our group Tomas Tsikos Cermeli. He tells about the results of this project and our future plans. 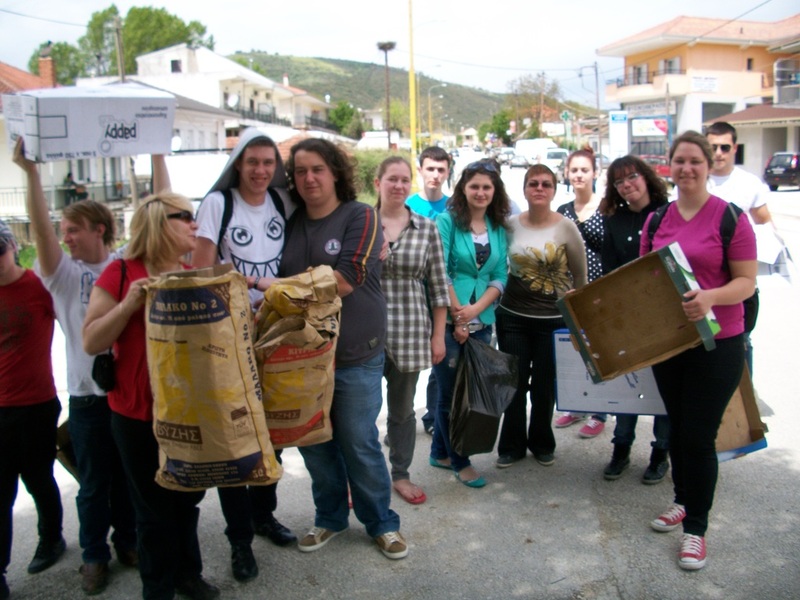 We are very, very thankful to the municipality of Pogoni for hosting the youth exchange and giving us a very big support for the realization of the exchange; to KTEL Ioannina for transporting the participants of the exchange safely from place to place, to the butchers Dimis in Ioannina and Kadzes in Kalpaki for their sponsorship for the exchange, to the restaurant To Petrino in Vissani for their service during the exchange. During one activity, participants discussed their thoughts about Europe. 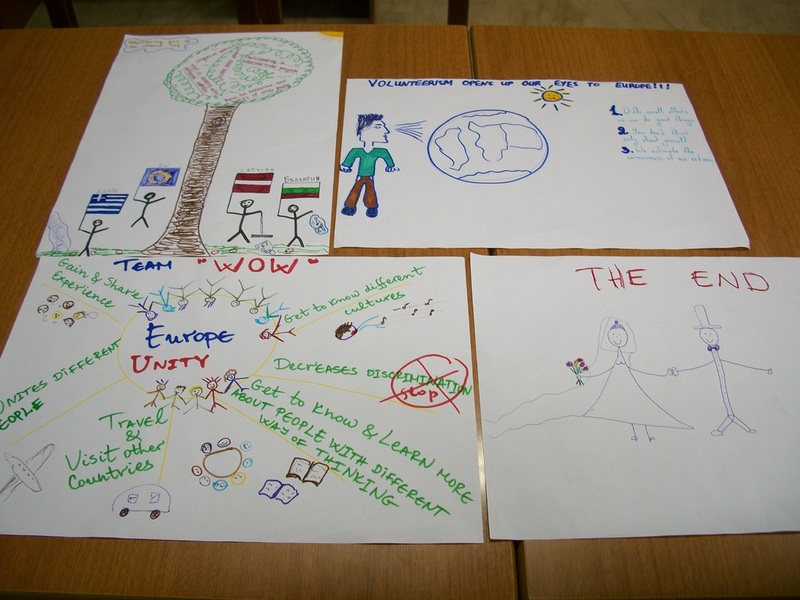 Here you can see some opinions of participants regarded to Europe in different categories. Words which describes my Europe: democracy, peaceful, union, people, equality, helpful, successful, youth programmes, common rules, common beliefs, Eurovision song contest, economic crisis, art, sports, love, optimism, Euro, communication, diversity, open, ancient, wonderful, diversity of languages, history, freedom, tolerance, respect of human rights. Things which we are proud of with regard to Europe: it’s easy to travel in Europe; the nature is very beautiful in Europe; there are so many tasty foods in Europe; there are many tasty beers in Europe; Europe gives us possibility to get to know other European cultures easily; there are good natural sources in Europe; EU helps to save each countries traditions; EU gives a lot of money for projects like this so it’s easy to learn about other countries and access no formal education easily; Europeans know how important is to be educated and Europe gives us possibility to be educated; we cooperate without guns in Europe; EU manages to unite all people in Europe; there are good conditions of living in Europe; agreements between EU countries provide peace & safety; the declaration of Human Rights is accepted and respected of Europe. Things which we are not so proud of with regard to Europe: there are too many ignored homeless animals in Europe; economic crisis; there is too high pollution in Europe; there are people in Europe that are not tolerant & cannot accept other people who are different & come from different background, culture or ethnic minority. Things which we never do in Europe: we don’t kill people because of their different religion, race or opinion; we never give up; we don’t take away human rights from anyone; we don’t eat dog meat; we don’t isolate other countries in Europe; we don’t have harems; we don’t do death penalties. Things which we always do in Europe: we always do what we want; we always help each other out; we always drink alcohol; we always have fun; we always try to understand every nation of Europe; we always celebrate; we always complain about the crisis; we love to blame other people and our government. 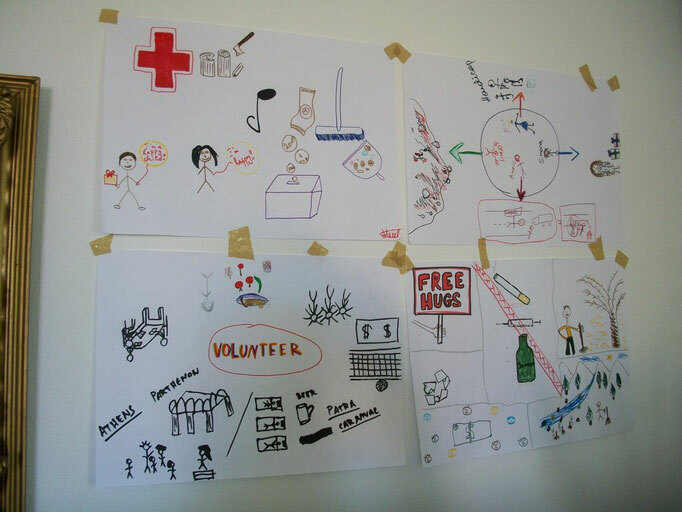 Throughout volunteerism you can see the way of living of others. The program of the youth exchange was a once- in-a-lifetime-experience because we managed to combine necessary activities (cleaning, recycling) with interesting free-time activities (games, talks, excursions). And we had a very good time while we were doing all the activities. I had never had so much fun and laughter while working together with unknown people. My biggest personal achievement during the exchange was that I learnt how to communicate with people with different levels of knowledge of English. I also learnt a lot about other cultures and spoke phrases in other languages. Kristīne Zvejniece from Latvia. Every day of the exchange surprised me because it was even better than the previous one. We all became very friendly, we learnt from each other and in the same time we had a lot of fun! My biggest achievement during the exchange was that I had to use English and I’m not afraid to do it anymore, also I learnt some words and phrases in Greek – I actually asked for a paper for paper recycling to a local Greek person and he understood me! In this week in some aspects I have learnt about people and about that how beautiful are our differences more than in the few previous years. After this youth exchange I’ll probably become more open minded person. Inta Žaime from Latvia. ﻿The youth exchange was very good planned, I’m happy that I saw famous places. It was my dream to learn about and see Greece; this was a very big opportunity for me. During the exchange I heard and saw things I have never hear or see; I got a lot of useful information for me. I have also got new friends here and I am very glad about it. After the exchange I will give more attention to volunteering activities. Jānis Lielmanis from Latvia. The program of the youth exchange was very interesting; I liked it as all the other youngsters did. I did not know English good and I’m happy the trainers helped me to communicate with all the other participants, so I overcame the language barrier. 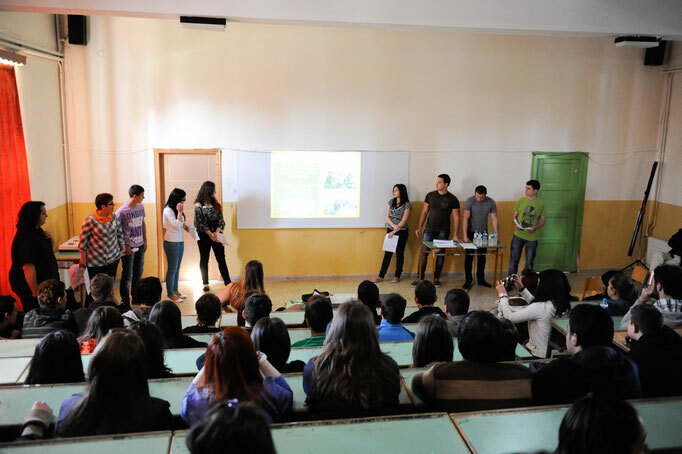 The biggest success of the exchange was our seminar in the high school of Doliana, because we encouraged many students to become volunteers. I would love to participate in other youth exchanges in the future because there I could learn many new things. Evagelia Butla from Greece. The exchange reached all my expectations. The entire program from the beginning until the end was wonderful. After this exchange I will try to encourage everybody to become volunteers, to take care of the environment, to accept others as they are – from different countries, cultures, backgrounds, religions. I would be very happy to participate in a similar project like this. Evgenia Dosiou from Greece. The program of this youth exchange was very useful, entertaining and good for my personal development. I came to participate in this exchange in order to help to inspire other people to become volunteers and I think I have done it well. 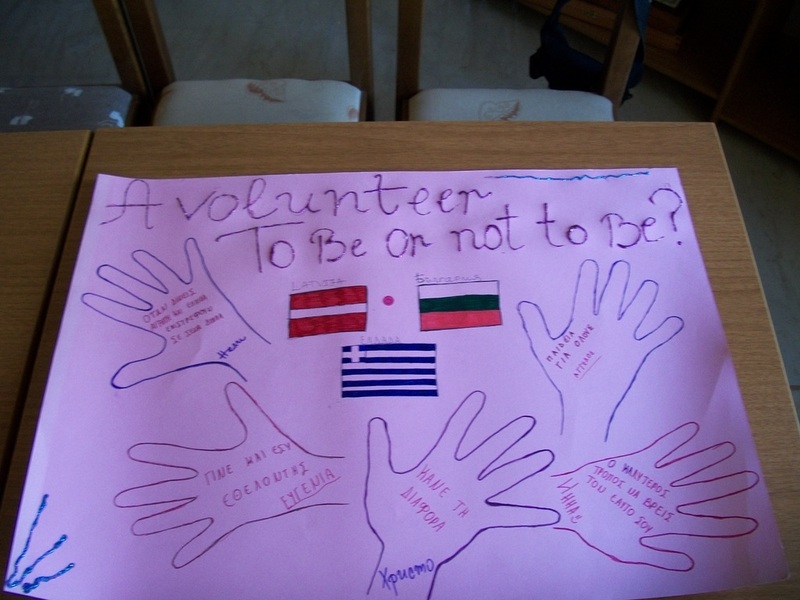 The biggest success of the exchange was sharing our experience on volunteering with each other and especially with Greek students. I liked this exchange very much! Inna Petrova Ilieva from Bulgaria. 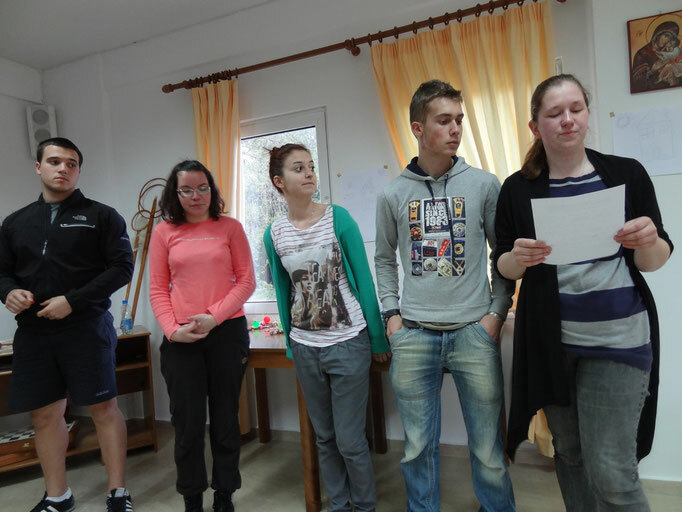 This youth exchange was one wonderful experience in which we all learned a lot about ourselves and other people. 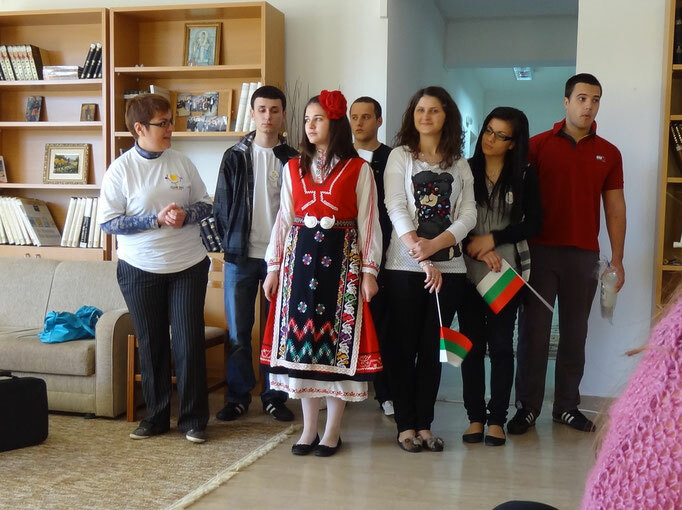 This project gave us opportunity to make new friends from other countries and learn about their cultures. For me the biggest achievement is that during the exchange I overcame the language barrier. I think there should be more projects like this one where even more young people could get included! Hristo Ivaylov Hristov from Bulgaria.